Try RestApp free for 14 days to discover how our features can grow your business. Complete EPOS systems for restaurants, cafes, pubs, bars, quick service venues and hotels. Scalable from a single system to hundreds. Everything included to get you up and running. Prices are per EPOS bundle. 20% VAT will be added. Hardware, installation, shipping, first year on site warranty coverage and first month EPOS subscription is included to listed prices. Please also take a look at EPOS subscription prices. Have any questions? Looking for multiple systems? Have a chat with our sales representatives about what we can do for you! 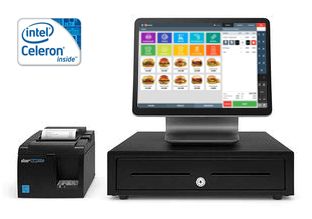 Some of the key features that makes our RMS / EPOS system perfect fit for all sizes of food & beverage establishments. Installation fee includes data generation or migration (products, modifiers, areas, tables, staff, settings), on-site setup and training for first time on-boarding. Our support team will build your menu items with all details and modifiers. Our support team will introduce RestApp EPOS systems on your location. Our support team will setup devices, printers, cashdrawers at your location. Our support team will customize your EPOS system to fit your own usage habits. RestApp EPOS system can be tailored to suit you. Whatever you need, however you want it. Please contact us for more information. RestApp provides all features you need for growing your business. We believe your Point of Sale should do more than just make sales. That’s the reason RestApp is designed to help increase your sales. 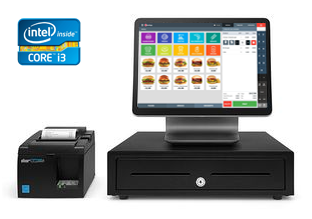 RestApp Online Ordering & ePOS Systems. © 2018 RestApp UK Limited. Allrights Reserved.